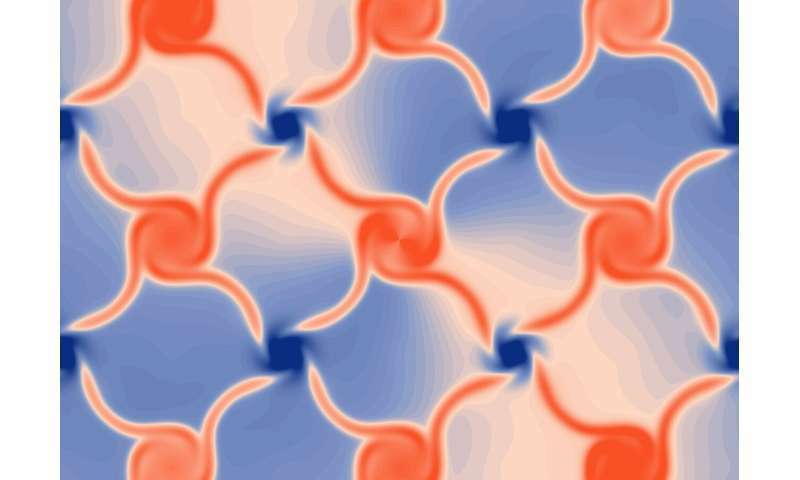 The realization of so-called topological materials—which exhibit exotic, defect-resistant properties and are expected to have applications in electronics, optics, quantum computing, and other fields—has opened up a new realm in materials discovery. Several of the hotly studied topological materials to date are known as topological insulators. Their surfaces are expected to conduct electricity with very little resistance, somewhat akin to superconductors but without the need for incredibly chilly temperatures, while their interiors—the so-called "bulk" of the material—do not conduct current. The DNA-like spiraling structure, or helicoid, in the crystal sample that was the focus of the latest study exhibits a chirality or "handedness—as a person can be either left-handed or right-handed, and the left hand is a mirror image of the right hand. Chiral properties in some cases can be flipped, like a left-handed person becoming a right-handed person. A property that defines topological conductivity—which is related to the electrical conductivity of the material's surface—was measured to be about 100 times larger than that observed in previously identified topological metals. 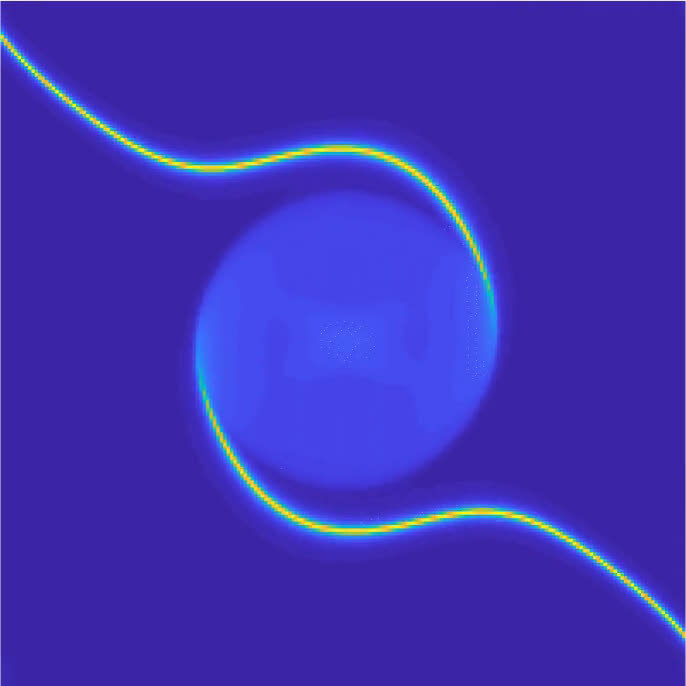 This property, known as the surface Fermi arc, was revealed in X-ray experiments at Berkeley Lab's Advanced Light Source (ALS) using a technique known as photoemission spectroscopy. The ALS is a synchrotron that produces intense light—from infrared to high-energy X-rays—for dozens of simultaneous experiments. Topology is a well-established mathematical concept that relates to the preservation of an object's geometrical properties even if an object is stretched or deformed in other ways. Some of its experimental applications in 3-D electronic materials—such as discovering topological behaviors in materials' electronic structures—were only realized just over a decade ago, with early and continuing contributions by Berkeley Lab. "After more than 12 years of research in topological physics and materials, I do believe that this is only the tip of the iceberg," Hasan added. 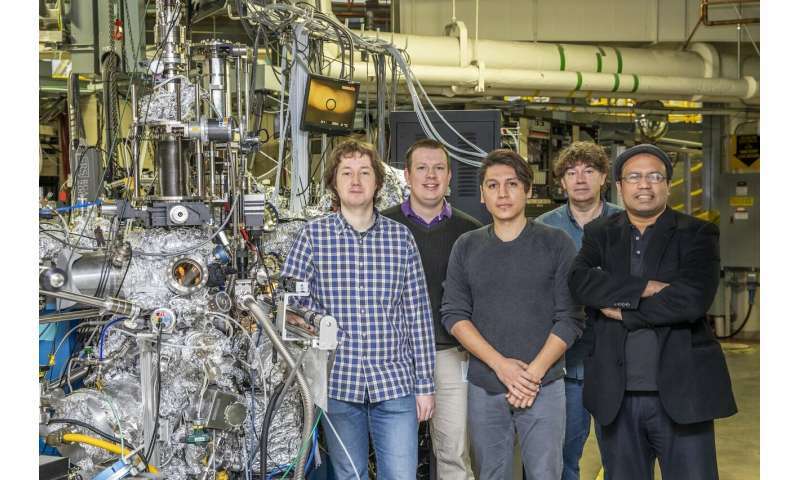 "Based on our measurements, this is the most robust, topologically protected conductor metal that anybody has discovered—it is taking us to a new frontier." Ilya Belopolski, a Princeton researcher who participated in both the theory and experimental work, noted that a particularly interesting property of the studied crystals—which included cobalt-silicon and rhodium-silicon crystals—is that they can produce an electrical current of a fixed strength when you shine a light on them. "Our previous theories showed that—based on the material's electronic properties that we have now observed—the current would be fixed at specific values," he said. "It doesn't matter how big the sample is, or if it's dirty. It is a universal value. That's amazing. For applications, the performance will be the same." The team had predicted that quasiparticles in the material—described by the collective motion of electrons—emerge like massless electrons and should behave like slowed, 3-D particles of light, with definite handedness or chirality traits unlike in topological insulators or graphene. Also, their calculations, published Oct. 1, 2018 in the Nature Materials journal, suggested that electrons in the crystals would collectively behave as if they are magnetic monopoles in their motion. Magnetic monopoles are hypothetical particles with a single magnetic pole—like the Earth without a South Pole that can move independent of a North Pole.